I entered this week with a bit of trepidation. You see about a year and a half ago Aaron and I were both just getting in to mixing cocktails. We decided that with the 4th of July fast approaching we should throw a party and feature gin drinks. Being new to the game we both looked around on the net and found some drinks that sounded good. The Aviation was one of the ones we chose and we stocked up on Maraschino and lemons, being gin lovers we had plenty of that on hand. We used Regan’s recipe from the Joy of Mixology and whipped up our first batch. The results were, well, unexpected. Since neither of us had ever had Maraschino before we had no preconceived notion of what this drink might taste like. Those of you familiar with the flavor of Maraschino likely know where I’m going with this. This liqueur has a certain funk to it. The taste is most certainly an aquired one and not what you’re expecting when you hear the words cherry liqueur. So, to wrap up that little tale I haven’t mixed one since. But I knew, deep down, that there must be some merit to this cocktail for it to have survived as long as it has. So on the tasting schedule it went. The first recipe I tried was Regan’s, again. This time I think my pallate has matured because I quite enjoyed the flavor of the Marachino. That said I don’t feel that this recipe is particularly balanced. The Luxardo (my Maraschino of choice) completely eclipses the flavor of the lemon juice and the gin (Plymouth) barely shines through as well. A good start, but I think we can do better. Next I sampled the recipe from David Wondrich’s Killer Cocktails . 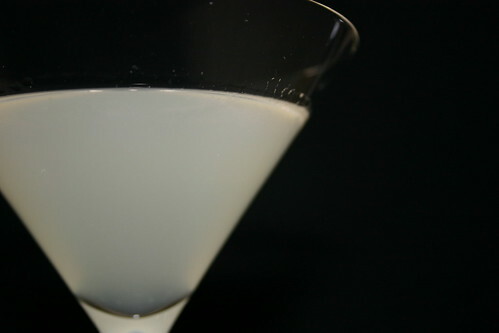 This recipe makes a drink that is much more sour and the gin really shines through in this one. However, still not the balance that I’m looking for. I felt the drink could use a touch more sweetness (provided by the increased Maraschino in Regan’s recipe) so I mixed up another, this time adding 1 tsp of simple syrup. This additional sweetness however, masked the lemon’s sourness almost completely. D’Oh! Still not what I’m looking for. As a side note, the recipe from Killer Cocktails is nearly identical to the one in Vintage Cocktails and Spirits, so I chose not to make both. Next I decided to try a recipe posted by Dan in the comments on my initial Aviation post. This, my friends, is the Aviation I’d been looking for. The drink is much more balanced with enough sweetness coming from the Maraschino and tiny dash of simple syrup. The sourness is present and bold, but not over powering and you still get enough of the pleasing Maraschino funkiness. My only remaining problem was that the Plymouth was masked for the most part. Thankfully I have lots of other gins to choose from and quickly remedied the situation with some Juniper Green. This recipe is the one that will go down in the Cocktail Hacker tome of knowledge as my preferred recipe. Thanks for the excellent tip Dan. But wait! You must be wondering what happened with the search for Creme de Violette. In short, I struck out. I checked the four largest liquor stores in the Boulder area and none had it in stock. Even DaveCo, the largest liquor store in the world which claims to have everything, had none. In fact, they hadn’t ever heard of it. Liquor Mart offered to special order a bottle but said it would take a least a week to arrive. I’m not that patient folks. So, I turned to the interwebs and found that Sam’s Wine had it in stock. However, due to a typing error on my part the bottle didn’t ship until Thursday. So…I’ll be putting up another post next week discussing the recipes that lean more toward the classic. You NEED that Creme de Violette. I went through almost that exact same experience, trying to figure out what all the fuss was about. Couldn’t figure it out until I got that bottle of Creme de Violette. Hey, I’m honored! I definitely went through some tinkering to get that recipe down and I’m proud of it.